* Aahhh, the asterisk. Never before has a silly symbol with a funny spelling meant so much in the context of grammar. Not since Roger Maris broke the single season home run record have we seen such a strong presence for that goofy little prop. 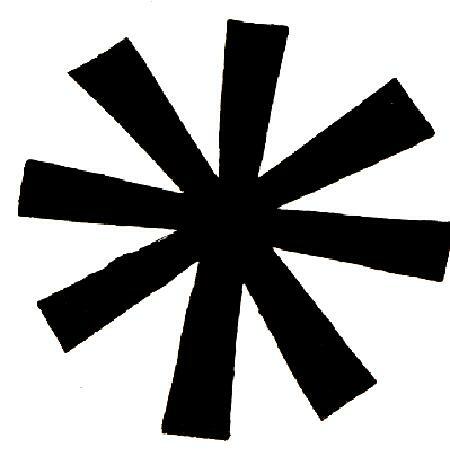 It’s emergence of late, brought on by Barry Bonds’ crowning as the All-Time Homerun King, and Clemens’ appearance in the Mitchell Report and on Capitol Hill, has put the asterisk back in the limelight. One positive to hopefully come out of these spectacles is that it gave The Movie Mind an idea…if movies had similarly hallowed records as they do in baseball, who would be the prime candidates to attract the same suspicions and potentially draw the ire of the *asterisk*? Make no mistake about it, steroid use by actors trying to buff up for a big role is about as understood and admitted as it is in the WWE. They may not come right out and say it, but they don’t have to. So allow The Movie Mind to find out who qualifies as the “Bonds and Clemens” of the movie industry, and let’s make sure those records of cinema folklore are never put in jeopardy! Description: Was this seriously the same guy as the dude in Death to Smoochy? Norton, who is typically about 121 lbs. soaking wet with 10-pound dumbbells in each pocket while holding an anvil under a goose-down parka, is absolutely jacked-up in X. He looks like he just stepped out of a UFC ring and could have certainly used that extra bulk when he and Matt Damon were getting their heads kicked in for running their “road game” during that scene in Rounders. 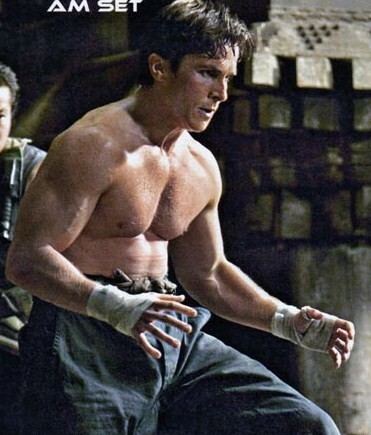 I challenge you to find another role where he looks even remotely similar to his physique in X. Considering he did Rounders the same year as American History X, that old excuse of “hitting the gym real hard over the summer” doesn’t work in his case. He must have had some left over roid-rage to get out of his system because they filmed Fight Club directly after X. 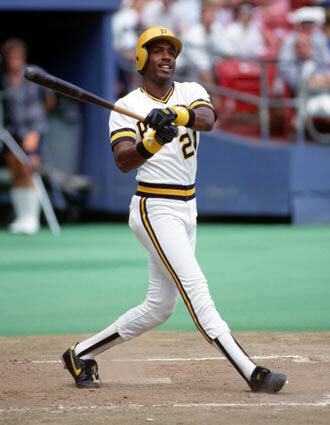 If He Was in MLB: Barry Bonds. Norton is hands-down the most accomplished actor on this list, and probably would have had an AFI Tribute eventually even without his role in X. But just like Barry’s 73 homerun season, American History X put him into the next echelon and had him playing chameleon roles like a backroom poker player, a priest, a thief, and a magician, among others. Him and Barry share such a similar story with the only differences between the two being that movie fans generally don’t despise Norton and feel like he single-handedly ruined the honor, tradition, and storied past of the cinematic institution. Other than that, Norton might as well keep training with Greg Anderson. You never know when the story of Barry Bonds will need to be told on the big screen! Description: He might as well have rubbed ‘the cream’ and ‘the clear’ on his body during these movies, it was that obvious. This guy goes through such a transformation in his films that it’s almost impossible to hide. So in Kiss of Death, the writers figured that if you can’t hide it, you might as well embrace it! They included a scene where Cage is bench-pressing an actual woman. He must have been in dire need of a workout fix to get that testosterone moving! Go watch City of Angels and tell me this guy didn’t pack on about 30 lbs. on muscle. Actually, I take that back…The Movie Mind will not be held responsible for telling his readers to go watch City of Angels. Just look at the movie poster instead. Keep in mind he went from doing Kiss of Death to Leaving Las Vegas in the same year. Why not flush that juice out of the system with a nice 30-day binge-drinking excursion? 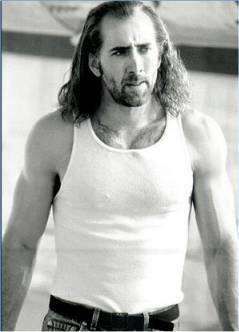 Of course, he followed that up with Con Air after doing The Rock a year later…right on cycle-I mean, schedule. If He Was in MLB: Mark McGwire. 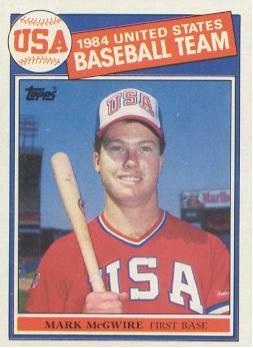 As a rookie McGwire was a solid but lean 215 lbs. 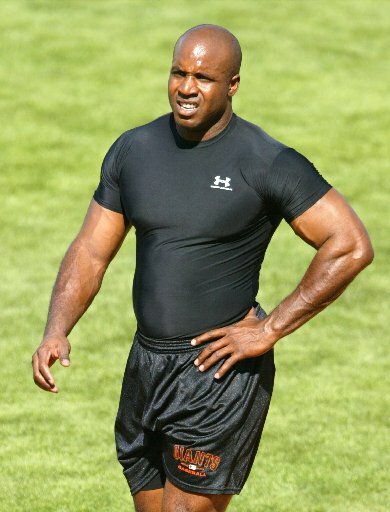 Sixty pounds of anabolic beef later, he once owned the single-season homerun record and later the shame of appearing before Congress to tell them he wasn’t interested in talking about the past. 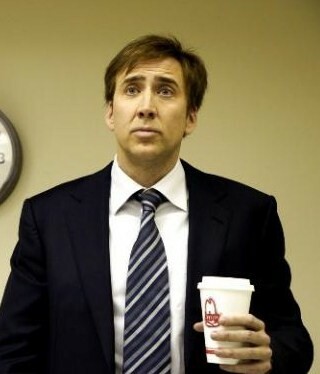 That’s as bad as Cage telling an interviewer he won’t talk about Con Air because The Wicker Man is coming out. These two have to be linked together for no other reason than their goatees-on-roids. Are these things a prerequisite to poking a needle in your arm? Description: In what may go down as the greatest transformation of all time, in the span of one year Bale goes from an emaciated pile of skin and bones in The Machinist to a ripped baby-Batman. Comparing the two physiques from those films makes you wonder how it happened even if he was eating pills by the handful. While he is known to be a workout freak, it doesn’t seem possible without the help of a little bit extra. He went from looking like Calista Flockhart to an NFL free-safety in a little over a year. Compare him to the Batmen of old and tell me who would win in hand-to-hand combat. Sorry Michael Keaton, but you were winded enough trying to climb up all those stairs while chasing The Joker up the bell-tower, I doubt you would even make it to Round 2 against Bale’s uber-specimen Batman. Whatever happened to the frumpy Adam West or the Bond-like Clooney playing these Batmen? Movie superheroes, much like the MLB players of today, have phased out the John Kruks and Matt Stairs of the game for sleeker, more muscular versions that are more appealing to the eye. Sorry Kruk-er, it’s true. If He Was in MLB: Alex Rodriguez. It’s the old adage…women love him, men, well…men can’t stand him. Good looking, check. Good physique, check. Multi-gazillionaires, check. It’s guys like these that give the rest of us schleps no hope. So when it comes time to bash their get-ahead-at-all-costs mentality and methods, we jump on the opportunity. 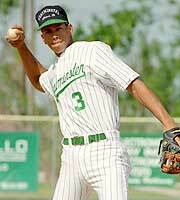 A-Rod was a spindly teenager when he came into the league, now he drops 450 ft. bombs like he’s playing whiffle ball. 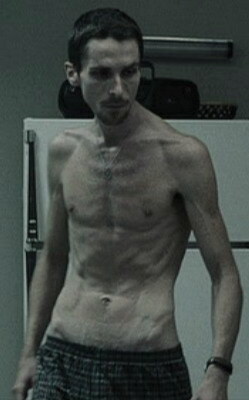 Bale, not even taking his skeleton from The Machinist into consideration, was nothing more than a typical skinny actor. He got the flavor for the juice in American Psycho, and decided that’s what he liked better. 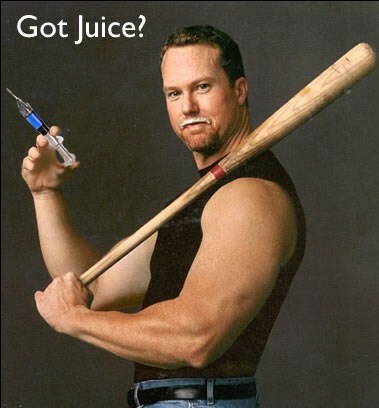 Now, he and A-Rod have the full package, except of course for the package that takes the biggest hit from the roids. Description: It pains me to have Will Smith on this list. He was one of the few that I felt did it right. Young stardom, music, TV, film; he had it in all directions. He still does I might add. 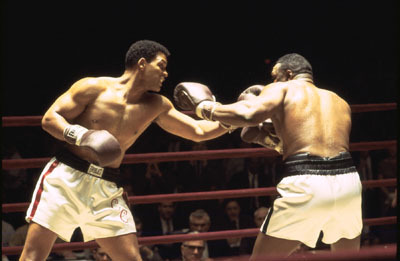 However, The Fresh Prince did undoubtedly take his physique to the next level in preparing for Ali. We would all like to believe he did it the right way, but even though he is in pretty good shape on a regular basis, it’s hard to get a body that is completely believable as a boxer. Boxers train for years to get that physique, and Smith pulled it off after shooting Bagger Vance. We can all still hold out hope that it isn’t true, but now in his late thirties (he was 33 at the time of Ali), it defies the laws of genetics. One would think that an individual blessed with as many talents as Smith might as well be the one to do it. Unfortunately there’s also the small little defect in Smith’s personality which allows us to believe he can fly off the handle at any moment…just ask his buddy Tom Cruise. 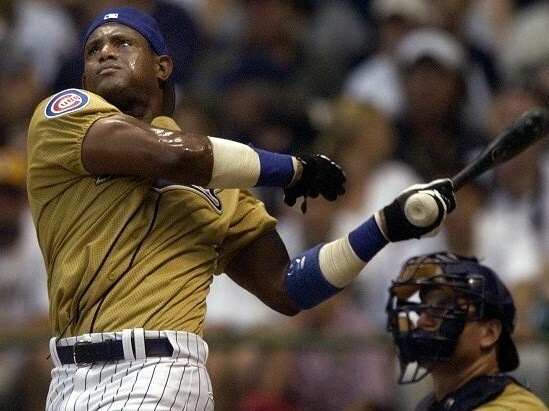 If He Was in MLB: Sammy Sosa. Smith still holds dear in our hearts with his loveable and happy-go-lucky demeanor, much like the “baseball been very good to me” Sosa. They both want to be genuinely liked by people and usually don’t have a hard time accomplishing that. It makes their fans want to believe it isn’t true, and hold that belief near and dear. Both Smith and Sosa got an early start on their careers and could do no wrong in the public eye. Smith’s career has been more consistent then Sosa’s, but they still are viewed similarly by the ultimate judge and jury, the public. Here is to hoping they were both anomalies in the genetic spectrum and that they just kept doing it the right way. Wishful thinking. Description: I know this one here is a real shocker. Sly…really? I hate to break it to you, but yes, Sly juices…and there is no such thing as Santa Claus, or the Easter Bunny, and Liberace was gay. Now that we have gotten that out of the way, it is only a matter or deciding when it started, and when/if it has stopped. Rocky I & II his physique looked fairly normal. Rocky III might have been the turning point, while in IV he took it too far. He looked like little Marco Columbo (Schwarzenegger’s old workout buddy who was 5’2” and a monster) in Rocky IV and like his body reached the limit of what it could withstand. From there he must have switched over or added HGH to his anabolic diet to help his body maintain his muscular frame. As in Rocky V we see how the effects of doing that stuff for so long look on his body. Rocky Balboa was almost comical in the fact that you look at any former juice-head who is older now and they have identical bodies. Veins were popping in places I didn’t know you had blood flowing through, and his skin turned to leather. Sly was the most unselfish actor in his reasoning for the juice, as he understood we as the public NEEDED the Rocky movies and without him they didn’t exist. After all, if it wasn’t for Rocky IV the Cold War would still be going on. That buys him a free pass in my book. 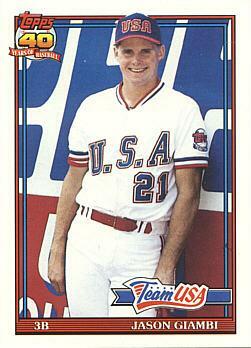 If He Was in MLB: Jason Giambi. Just like the Yankees superstar, we all know it is not a secret, or an assumption, or an accusation, that Stallone is/was using steroids. 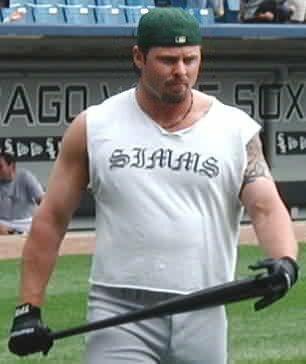 He was caught red-handed at an airport carrying HGH, and Giambi has all but said the exact words, “Sorry I did steroids”. I believe he substituted “stuff” for “steroids” on the basis of it being understood. 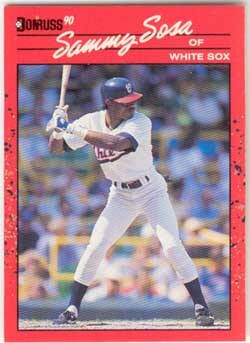 Sly would not have had a career without the stuff, and there is a strong possibility that the former American League MVP would have been on a career track more similar to his brother’s [Jeremy] without the “stuff” as well. Nevertheless, they each continue to reinvent themselves, as Giambi proved he can still hit after he got off the juice and came up with a stuff- I mean, Staff infection, and Sly has us pumped up (naturally of course) for his last Rambo flick. This time we hope he’s a Vietnam POW for the past 30+ years only to escape and head over to Iraq to single-handedly destroy Al Queda. Really, it’s been a long time coming. Description: This is one of those guilty pleasures that are hard to admit, but I love this guy. How could you not? From The Simpsons voices to Friends to cameos in some cult classics, this guy throws his pride to the dogs and only cares about entertaining his audience. I almost considered leaving him off the list for that reason alone, never mind the fact that he just looks like one of those fun dudes you could listen to for hours tell great stories over beers. All that aside, he magically got jacked-up for Along Came Polly, and it came further out of left field than Reggie Jackson did in The Naked Gun when he tried to kill the queen. If He Was in MLB: Andy Pettite. Another likeable guy who got caught up in the juice-era that you wish had just been above it all. Since he admitted it and Azaria might as well do the same, they can be tied together as the most fan-favorite duo on this list. Hopefully these two will have their careers remembered for more than the chemically-enhanced mistakes they made. Description: What a shame to see his name here in this list. It pains me to name him about as much as a lazy Sunday on the couch with a full slate of NFL games on the flat screen. Just as all the ladies swoon over his rock-hard abs, our only hope as men is that there may be some “side-effects” from his potential juice-use. Maybe this is more of a “wishful thinking” nomination, but either way I’m saying he took the roids. One thing I will say is that he must be the mellowest dude to ever hit the sauce and must take quite a few depressants to hold back the roid-rages. If the public needs anymore evidence, take a look at him early in his career in Dazed & Confused and A Time to Kill and compare it to Sahara. I guess he only decided to become a workout freak later on in life. 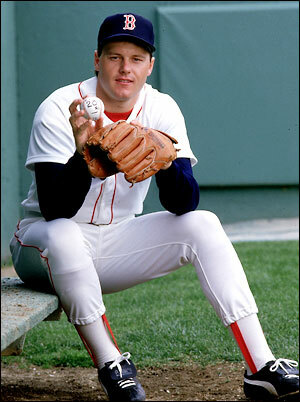 If He Was in MLB: Roger Clemens. Yeah, we know…they are both “workout freaks” and have successfully maintained their physiques into old age. Blah blah blah. It is so easy to despise them both that it is almost too easy. I would love to see McConaughey sit in front of Congress and lose any shred of dignity he may still have remaining, but in the meantime we can only enjoy Clemens’ public disgrace. He was sweating like Ted Kennedy in a brothel with an open bar. And just to top it all off, he sold his wife down the river by trying to pin the whole thing on her. As if he needed to lose any last shred of manhood, there it went. Description: Could you seriously try to find two more hideous and irrelevant looking people? The Movie Mind should get a call from their publicists with a hearty thank you for even plastering their ugly mugs up here. 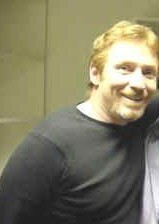 Bonaduce was as irrelevant as they come since The Partridge Family, until his amusing/depressing reality show came on television. In fact, unless you are 40 years old you probably didn’t even know what the hell Bonaduce was famous for prior to his real-life train-wreck hit TV show. Now he has parlayed that into a new reality crap show where he looks for the next child star and attempts to turn them into as big a screwup as he has become. Someone needs to hook him up with Dr. Drew. 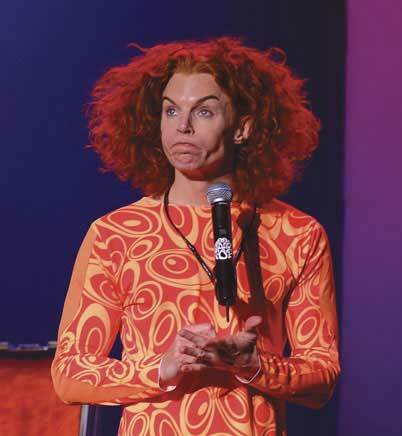 Carrot Top hasn’t done anything relevant with his career since he last came onto stage in oversize clown shoes driving a Malibu Barbie corvette. I guess he decided it was in the best interest of his career to juice up and become even more hideous-looking. There must be huge market for jacked-up carrot-heads who can’t act. What, you thought Chairman of the Board was just a one-shot deal? We should be so lucky. If They Were in MLB: Brady Anderson. 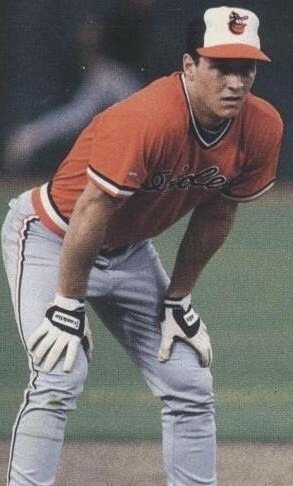 Outside of the one anomaly in his career, a 50 homerun season when never having hit more than 24 in a season before, Brady Anderson’s career was fairly pedestrian. Never hit .300, averaged just 19 homeruns and 67 RBI’s, he would have probably just faded away unscathed if it wasn’t for his incredible-hulk-like transformation in 1996. Much like Brady Anderson, Bonaduce and Carrot Top could have faded away in the sunset, basking in Partridge Family royalties and Las Vegas gigs if they hadn’t tried to reinvent themselves with their sturdy new physiques. In Bonaduce’s defense, he had tried every other drug out there so why not do one that makes your body look better instead of worse. As for Carrot Top, anything to take the attention away from your face is good. Love the review. Can’t forget LL Cool J in Swat. 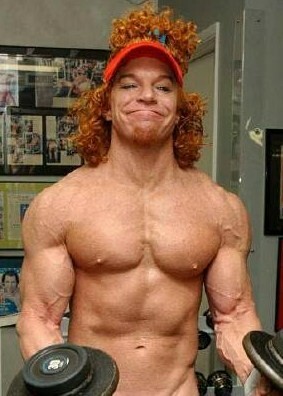 Carrot top is one scary dude. 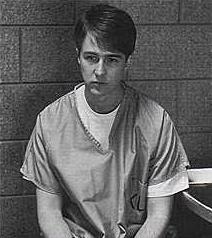 Ed norton is THE MAN. Enhanced? Hmm… not sure.. In Bale’s defense, he was ripped from the beginning in American Psycho. But you’re right, going from The Machinist (crazy movie) to Batman is quite a stretch. You’re wrong about Norton. He is not normally 121 lbs. The man is at least 5’11″, and anyone that tall and that skinny is in dangerous health. He’s normally I’d say around 150-155, and for X was probably around 180, which is not too much of a stretch. Unused muscles also start to atrophy after three days, so its not unreasonable for him to shed the extra muscle in a relatively short time. I don’t know about many of the actors mentioned. I mean, its their job to build a physique to get certain roles and they have the resources/time to do it. Norton claims he put on 30 pounds in 3 months which any already skinny person could probably do if they had a personal trainer, personal nutritionist, and the free time to consume 7 large meals a day and work out 10-15 hours a week. Bale made unbelievable gains but he was also returning to his normal physique he had before he lost the weight for the machinist. Stallone’s the only actor there who was obviously on roids throughout much of his career because he went from being jacked to unnatural looking. I believe that most actors have probably used HGH though. The problem with comparing actors to baseball players though is most athletes reach their physical peak when they are in college or within their first couple years in the pros because they have been working out their entire lives. Any significant gains in an athletes physique sparks suspicion because people wonder what the athlete has done all of a sudden done different to make these gains when they’ve been working out the entire time they have been in the pros and haven’t really shown any difference in their physique until one off season one of them gains 20 pounds. If an actor that hasn’t ever lifted a weight before or hasn’t worked out in years starts lifting the gains are going to be obvious within a short period of time if they know what they are doing. 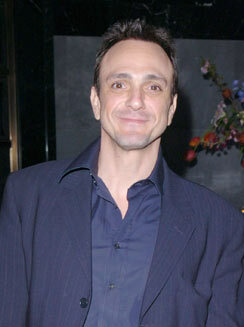 Hank Azaria has always been ripped. He was in ‘The Birdcage’ as the famboyant housekeeper. I think this guy gets a pass. I agree with others than you’re wrong on Azaria. Birdcage, Along Came Polly, Run Fatboy Run – he’s been in great shape every time I’ve seen him. But as a whole I think you’re underestimating the way someone can transform their body naturally. It’s these guys’ job to get in shape and most people, if they were working all day every day with the best trainers and nutritionists in the world, could build incredible physiques. Plus, they’re shaded and shot to look more impressive than they might actually be. this writer isn’t very educated in exercise and nutrition. will smith’s physique in Ali is very achievable just as Matthew’s in Sahara. It is also very easy for a skinny/underweght person to pack on weight and muscle than someone who already has alot. If you have the amount of resources as these actors do such as time and money you can use these to develop a 5 Day split working out twice a day with 6-8 meals a day with appropriate supplementation( not steroids). Sorry, but I read a lot of either jealousy, excuse-making for your own feelings of physical inadequacy, or ignorance in this article. People have approached me numerous times over the years asking if I can get them “enhancers”, but the truth is that I’ve never touched anything other than protein shakes and weights. I hit and I hit it hard and I know what I’m doing. Some people think they do all the right things and then they don’t see the same results and they get notions of cheating, but the truth is that most people who even work out regularly don’t make the most of it due to poor technique, less commitment than they admit even to themselves, poor diet and sleep habits, a lack of intensity and drive while working out, and poorly construed routines. Intense actors focusing intensely on roles and preparation and with the assistance of top professionals and the advantage of time can easily achieve most of the results being questioned in this article. Hell, I’ve put on 20 pounds of muscle in the last three months after having taken some time off. And I don’t get into the gym until 7 each night ’cause I have a real job. These “transformations” are completely realistic. Quit hatin’ and stirring up unfounded rumors that hurt reputations and reinforce public misperceptions and ignorance. I disagree with most of what you have here, exept for the baseball players. Im a wrestler, have been all through high school and college. In high school i wrestled at 152 lbs, then 189lbs, then 215lbs. in college, i had to cut down to 150 again. now that im done though, i weigh a solid 205 lbs, only a few months after i weighed 150. Ive never done steroids, but i work out all the time. lazy people like you dont seem to understand the real benefits of what you might call insanely hard work. Also, its my opinion that stallone didnt start using steroids until much later in his career. I say this because of the workout routine he had in rocky 1 & 2, and the one he used to become the monster you see in the others. in rocky 1 & 2, he had a standard weekly workout routine. but for rocky 3, he did something different. he cut down to 150 lbs, and started to eat only egg whites and burnt toast. he worked out like crazy, up to 6-8 hours a day, each day including 18 rounds of sparring, miles of running, and a full weight lifting regimen, EVERY DAY. it was common for him to go unconcious during a workout, as many of his workout partners have spoken of. on this regimen, he slowly gained his weight back, pound by pound, not allowing any fat. if he had been using steroids at this point, under this huge work load, he would have been massive, he would have looked like mr. olympia or something. for someone who probably looks like jack black, you have alot of nerve trying to make yourself feel better by blaming the results of hard work on steroids. he started using them later, as his body shows. 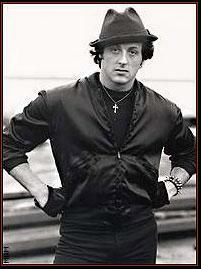 for rocky 5 and his movies from the 90s, he was still the slender, ripped stallone. but when he came back in rocky balboa, and rambo, he is absolutely massive. even his bones look wider, a sign of hgh. 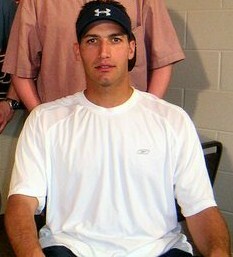 he had a bloated face, a sign of steroids. now, something you probably didnt know, old guys like him (hes in his 60s) can get steroids and hormones perscribed by a doctor so they can be at the levels they had when they were younger. he did the wrong thing, by getting them illegally, but he could have gotten them legally, they just would have costed more. not sure why he did that, considering hes filthy rich, but who knows what he was thinking. get your fat but off the couch and start improving yourself, and quit tearing down people who work their asses off, just to make yourself feel better. im sick of people like you, fat or skinny guys who are lazy, that have even said im on roids, when i was an NCAA athelete, and tested several times. i passed every one of them. i gotta leave, this post is just making me mad. Hahahaha…someone tell Frank Stallone to stop crying about me calling out his brother for being on roids! For a 150 lb wrestler you sure have a lot of harsh comments. Maybe stay in your own weight class chief! For the records if you had a clue about anything instead of a Napolean complex…I played 2 D-1 sports. Keep hitting the preacher curls and maybe one day you can be as famous as Pauly & Vinnie like you aspire to be. Also, even it you can actually manage to bench your own weight, no amount of time at the gym can give you a personality of sense of humor. Food for thought. Yes, one could get in that kind of shape without roids. But not in the short time that these actors do. Alot of body builders, amature body builders, and wanna be muscle studs periodically juice. Most hide it, and lie about it. Look at carrot, or bonadooch. They use roids regularly. There faces look like catchers mitts. overuse shows up in the face. The freak viens are also a dead.give away. If you think most of these guys dont at least do some light oral roids your kidding yourself.